Q: Hey, I was just wondering if practicing "Breath of Fire" for 100 days would also activate kundalini? And would it affect the body differently than doing it the GFM way? If so, how would it affect the body? And would it help or hinder you? JJ: Before discovering GFM, I tried Kundalini Yoga and its "Breath of Fire" and all it did was hyperventilate me, so I returned to Hatha Yoga, which I found to be more fulfilling and productive. Once, I started practicing GFM, I realized it was the polar opposite of Kundalini Yoga as concerns both its ends and means. GFM teaches you to limit physical activity in order to slow down the metabolism. Its guiding principle is "Action through Non-action." Or Less is More. 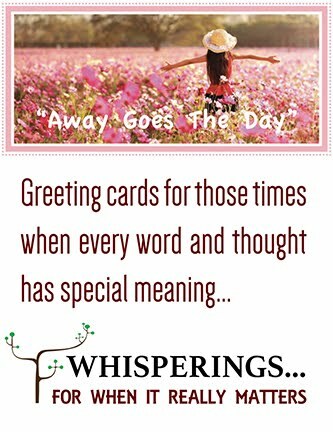 It focuses on moving from the physical to the metaphysical, from the outer to the inner. Only by moving to the inner can you accomplish The Work. It's difficult for initiates to grasp this, especially those in the West, as they are conditioned to believe that only strenuous exercise produces results. The contrast between the two couldn't be more extreme. In fact, the vigorous exercise programs featured in gyms across the country actually wear the body down, even though they do produce tighter abs, etc. to begin with. Over the long haul, GFM and Hatha Yoga not only awaken Kundalini, they actually work to extend life and fight off the devastating onslaught of dementia. Ask yourself, "Do I want to try out for the NFL or do I want to activate Kundalini in a safe, permanent fashion?" There is so much to say... Here are some semantic and historical clarifications relevant to my experience and understanding over the 16-years of teaching Kundalini Yoga (as taught by Yogi Bhajan) and also teaching meditation classes. Yoga = merge, union, to yoke. In this regards every kind of yoga is in a sense kundalini yoga — uniting the male and the female, body/mind/spirit, harmonizing, transforming, connecting us to our Higher Self/Soul with the Divine. The system of Kundalini Yoga is considered a faster, more direct and thorough approach, which includes many elements from all eight limbs of yoga, hence it is called by some The Yoga of Awareness or The Mother of All Yogas. Hatha Yoga began in the monasteries and evolved as a system. In its pure, original form it addressed the needs of those who were on the renunciation path. Typical practice involved going in, holding and coming out of an asana for one up to 2 1/2 hours. Kundalini Yoga is system for the householder — one actively involved in life, society, family. There is a vast amount of predetermined sets of poses, moves and meditations geared to achieving a particular goal (kriyas). They vary from very stationary to very dynamic, physical, as well as everything in between. In that regard, this system is suitable for the contemporary westerner because it brings the variety, the pace, the fun by undeniably giving you the experience. Until 1969, Kundalini Yoga was a secret oral tradition reserved for only select number of disciples, until Yogi Bhajan came to US and began teaching it to open public classes for the first time. Hence, the lack of information prior to that. It was surrounded with the tremendous amount of speculation and fear. Meditation is indispensable part of every yogic practice. Kundalini Yoga includes a diverse array of meditations. Every class ends with a meditation. The daily sadhana in this tradition is composed of one hour of yoga and one and a half hour of meditation. There are two large branches of meditation: concentration and contemplation practices (Buddha Shakemuni practiced concentration practices for 22 years). As per Buddha’s words: Sitting, lying down, or walking are the three different ways to do meditation. Stillness is refers to the internal experience and not necessarily to the body’s position or conduct. That said, to me there is no VS. between kundalini yoga & meditation. They are very much intertwined the way yin & yang are. They are part of the whole. They are part of the age-old dance of duality, which at some point evolves/realizes itself as One. Isn't that actually the experience when the Kundalini rises unobstructed by any blocks up the Shushumna... the afterglow... this sensation of melting into everything else and becoming IT! Thanks for your comment. Glad to get a fresh take on this topic, to see if others are as confused by the interchangeable use of these terms as I am. They really apply to different entities as far as I'm concerned. You're saying that there's much more to KY than I wrote about in my Kundalini Meditation and Kundalini Yoga blog post. That's reasonable, as my experience was limited; I never practiced KY with the embellishments you mention. I practiced what was then called "The Breath of Fire" with the results I described in my blog post. All I know about KY since is what's been reported in the press. Nevertheless, there is a difference between what I practiced as KY and my KM practice. I'm not saying there's no overlap; I only have my experience to go on, but I will say that the KM method I employed steered me away from vigorous physical activity. That in itself seems to be the difference, which for my success, was everything. It may be only subjective, but then again, that's what this work is all about: the Quest to find a specific practice that WORKS for each individual. If one method works for some, but not for others, and a second method works for a different subset, and so on, isn't it reasonable to distinguish between methods, if for no other reason than promoting accurate labeling to expedite the Quest, especially with so much "New Age" fluff out there? Aren't consumers owed a kind of truth in labeling presentation of each system or method? I get inquiries from so many who have bounced around from one thing to another; there's so much more out there now, much more than when I began. And while process of elimination is part of the Quest, don't we owe it to consumers to label and document our systems as accurately as possible? It is our natural tendency to make sense out of the overwhelming stream of information by categorizing and labeling it. However, that could bring on occasion as much order as even more confusion, since as you mentioned — everything is subjective. Kundalini Yoga (part of which is an array of meditations) gradually balanced and strengthened the organs, systems & functions of my body (especially circulatory, nervous and glandular). It opened and strengthened all the nadis, which, for those not familiar with the term, include all tubular organs in the body: blood vessels, nerves, energy meridians, Shushumna, Ida, Pingala. It opened and balanced the chackras and allow the Kundalini to flow freely. I can now make use of it in a conscious way and enjoy its benefits. It happened over time, 2-3 years or more. Bits and pieces came together even later. It brought moments of pain and discomfort, but not extreme. It was always bearable, short increments and I was guided intuitively to know what to do in order to go through the process smoothly. I learned a lot. I call those moments Initiations, because after each episode I grew so much more in knowledge and awareness! Meditation has always been my answer to all life's adversities. To me it is the panacea. More and more quantum physics and neuroscience proves that. In that regard, yes, meditation is of utmost importance. Wonder how people can go through their lives without it! I wouldn't necessarily categorize only one meditation practice as The Kundalini Meditation, though. There once was a person who wanted to achieve enlightenment through chanting. He sat under a tree in perfect position and chanted and chanted... An angel came by to listen. Seeing the angel, the man was overjoyed and immediately requested, "Please, Angel, ask God how long I have to chant to be Liberated? " The Angel flew away to seek the answer. Not far away, there was another tree and another man sitting under it, chanting. The Angel stopped and asked, "I am on my way to talk to God. Do you have any questions?" "No", answered the man, "I chant, I love it, I am happy, I don't have any questions." Time passed, the angel returned to the first man and told him: "God said you need to chant for 100 more lifetimes." The man got so frustrated, so angry, so despaired — he threw himself into the abyss. The angel flew to the next person and gave him the same statement on behalf of God. The man was overjoyed. He thought, there wasn't most pleasurable way to spend a lifetime, and now he was given the opportunity to do it for 99 more years! There's certainly more than one Kundalini Meditation method. I just can't vouch for all of them; working with GFM has taken me this current lifetime. Fortunately, there's no shortage of young people practicing every flavor of KM. Some say they don't have the dedication of previous generations. I'm saying they do; I'm counting on their persistence. We'll see. "One thing has to be remembered about meditation; it is a long journey and there is no shortcut. Anyone who says there is a shortcut is befooling you. It is a long journey because the change is very deep and is achieved after many lives — many lives of routine habits, thinking, desiring. And the mind structure; that you have to drop through meditation. In fact, it is almost impossible — but it happens. A man becoming a meditator is the greatest responsibility in the world. It is not easy. It cannot be instant. So from the beginning never start expecting too much and then you will never be frustrated. You will always be happy because things will grow very slowly. Meditation is not a seasonal flower which within six weeks is there. It is a very, very big tree. It needs time to spread its roots." ~ OSHO. “Are we saying that the term ‘Kundalini’ is being used to add some flavor to otherwise minimally-useful yogic practices in order to make it seem extra-special? Is it more enticing because it adds an esoteric word to the front? That it is practiced by ‘gurus’ & other ‘spiritual leaders’ in order to benefit themselves financially & professionally? Kind of like the whole ‘snake-oil’ thing — where you pump up some new-age idea or product that doesn't really work, but you promise enlightenment and people seem to go for it because you're a self-proclaimed ‘Master?’ Are we saying that Kundalini Yoga is like the diet pill? A promising a quick fix? “As for short bursts of energy drawn up the spine - Yah. Concentration is crucial in order to will the energy up through each energy center. Dunno if you need Kundalini yoga though because I did it with LSD and hadn't done a single asana in my entire life. And even that experience had its roots in a larger constellation of pre-planned life engineering i.e. it was sort of meant to happen when it did and has not since reoccurred. 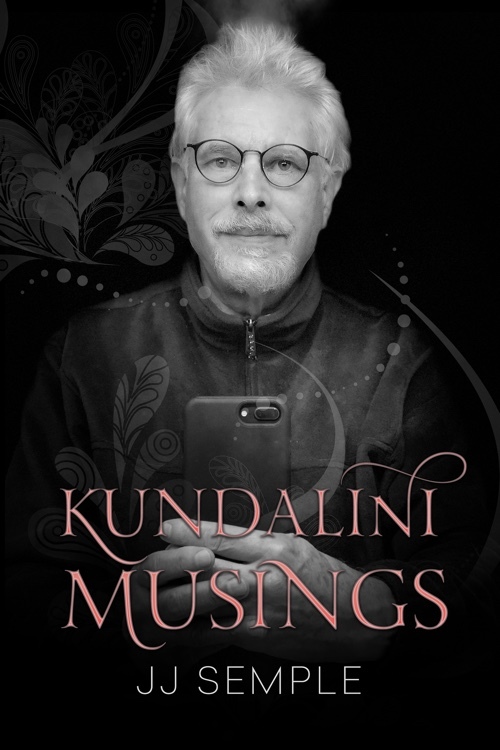 “I am wondering now: Is Kundalini Yoga more like a preparation for Kundalini Meditation? Does its function or purpose lie in the fact that the exercise helps prepare the body for that kind of concentration and energy? Perhaps it burns off old energies and stored toxins. The body and mind are highly integrated, so it may be useful to clear the physical body of old stuff in order to clear the mind of old stuff and vice-versa. Kundalini works on balancing the body, ensuring its symmetry. I find that yoga tends to put both sides of the body in equilibrium so that one side is not stronger than the other. This also creates balance between the hemispheres of our brain so the neural connections become stronger on both sides as those connections are used more. Generally, one half of our body is relatively unused compared to its dominant counterpart. In yoga, practice the asanas for one side, then immediately follow with the other side. Kundalini yoga is used WITH meditation. Yoga itself does not awaken Kundalini. It helps Kundalini (awakened through meditation) accomplish its goal of restoring symmetry. Kundalini Yoga is prepares the body, actually all ten bodies (the 5th of which is the physical body) for the harmonization, integration, and transformation that meditation completes on all levels. Kundalini Yoga eases the process. It even makes it fun. A much deeper meditative state is achieved after the body has stretched and moved in certain ways. It helps open the channels. There are a number of different breathing techniques used to facilitate diaphragmatic breath so it becomes the natural way of breathing all the time. It gets rid of blocks and strengthens the physical body. It assists in letting go of habits that don’t serve you anymore. I gave up smoking and became vegetarian during my first year of practicing it and never ever went back to it (19 years already). It was a natural choice. Kundalini Yoga helps you go through difficult times of discomfort, pain, discouragement, depression, etc. All those that come up on your way. Of course, there are different kinds of teachers, gurus, etc., as well as students. I knew a person who was drawn to Kundalini because “it sounded Italian,” and she liked everything Italian. It is just the name of a phenomenon which truly IS. I agree with the notion of using physical exercise to improve somatic and metabolic conditioning. This assumes that the KY exercises are optimized for this sort of work, i.e., they have proven more efficacious than say, Aerobics or Sports. Can you describe the ways KY exercises accomplish this? What about something like Tai Chi? Would it provide the same results? I am relatively new to QiGong. I've been studying/practicing since last April. For 3 months last summer I attended combo TaiChi/QiGong classes and decided that QiGong is more suitable to my temperament and aspirations. l also noticed the similarities in the basic concepts with Kundalini Yoga. So, the answer to your question is: yes, QiGong (the foundation of all martial arts including TaiChi) could be used as well. Aerobics is very different type of exercise, although some of the exercises/poses/forms mentioned above could very well increase the heart rate, so could they have an aerobic effect. The difference is that Kundalini Yoga and QiGong are body+mind+spirit disciplines. Movements and poses are done with and for the whole body; mental focus is of utmost importance; there are many, many details and levels of mastery, more than meets the eye; they are always done to facilitate, to support the meditation practice and never to substitute for it. They both teach you to become sensitive and aware of the energy/prana/qi, etc. and how to work with it. This is very helpful in the process of Kundalini awakening. I think that you and I can teach a weekend workshop together one day, consisting of Kundalini Yoga, Qigong and the Golden Flower Meditation. I think it would work perfectly well together. How about that for an idea? There are many levels of exercise/practice, just as there are levels of attainment. It is a path progression we become aware of over time on the road to self-realization. 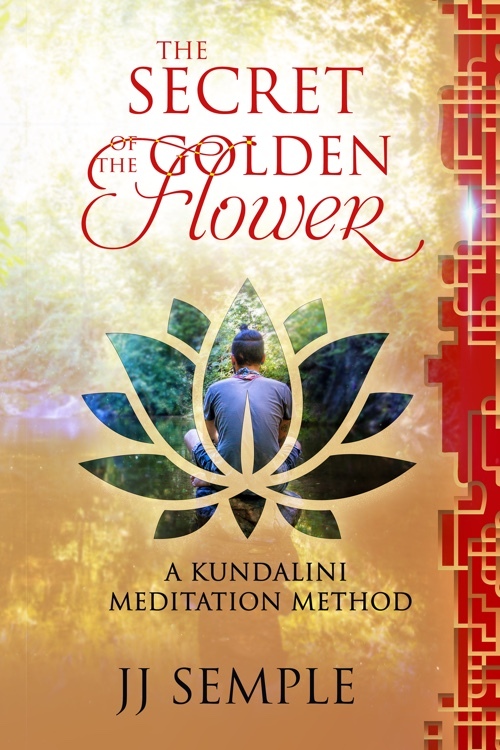 My personal practice went from Hatha Yoga to Golden Flower Kundalini Meditation, so I "skipped over" — if you can call it that — the disciplines you mention. As we refine the workshop idea, I will learn more about them, and even though I may never practice them, I will come to understand the benefits.